We deliver containers and drop boxes for special projects. 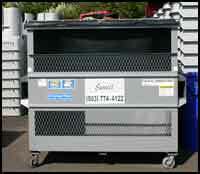 Sunset Garbage can supply drop boxes and containers to meet your needs for any time period, long or short. 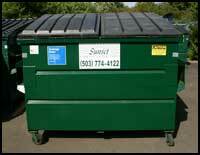 We will deliver and pick up our containers and drop boxes on a schedule that is right for you. For more information on our drop box and container sizes, prices or delivery schedules, feel free to call our customer service representative at (503) 774-4122. We can help you decide which containers and drop boxes are appropriate to manage your special garbage and recycling requirements, all at the lowest possible cost to you. For complete container and drop box pricing information, call (503) 774-4122 today!